THE SKINNY: I confess. I am a sucker for a citrus bath product. 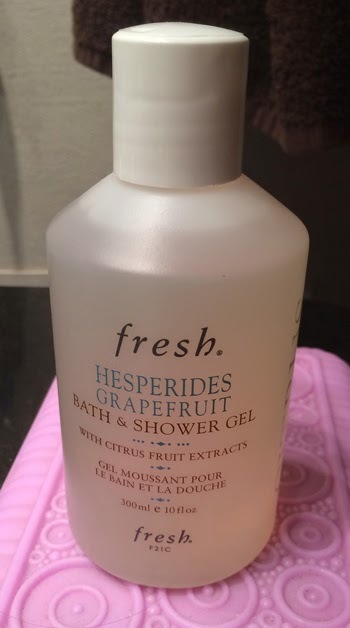 So you can probably guess that I absolutely love Fresh Hesperides Grapefruit Bath and Shower Gel. The super citrus scent is relaxing and refreshing in the bath (which is how I have been using it). The product as doubles as a shower gel. Fresh is one of my favorite brands as well and this moisturizing power of this product was exactly what I had hoped for. Plus the great smell sticks to skin for a light and refreshing feel for hours. CHECK IT OUT: Learn more about the super citrus combination in this item and buy direct from Fresh.